Minimum Age: 21 We do not allow persons under our age policies to occupy a property unless accompanied by someone over at or over age requirements. 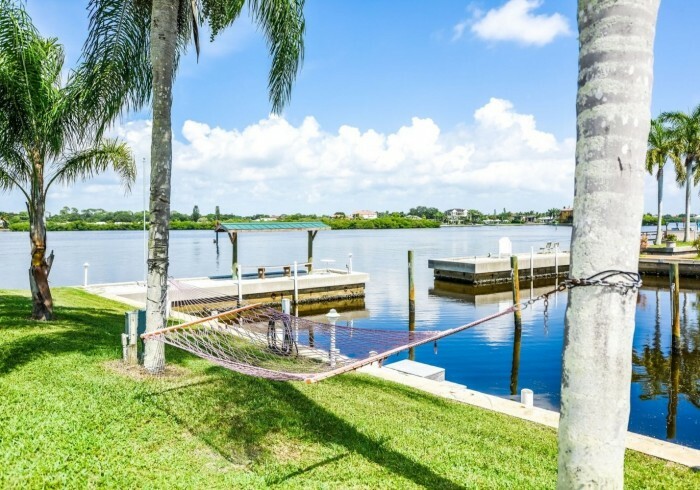 Sea Club II is a waterfront community on four acres of palm, oak and banyan trees. Included with your stay: Complimentary Bicycles, Beach chairs, Beach-Towels, Free-rides around Siesta and a 7-day week office for your convenience and guest needs. Sea Club II offers a calm, friendly and relaxed Old Florida feel. Enjoy the sun at the heat in the winter swimming pool or the shaded picnic and Bar-B-Que area. Fish for snook, red fish or jack crevalle off our fishing pier. Walk to beautiful Siesta Beach number one beach in the USA to enjoy the sun and surf or to watch the sunset over the Gulf of Mexico. Visit the many shops and restaurants in nearby Siesta Village, or take a day-trip to one of many famous Florida attractions. The Clubhouse and pool area have Wi-Fi and laundry facilities are on the property. There is a fishing pier with cleaning station, boat access, heated pool and outdoor grill facilities on-site. Just walk across Midnight Pass to deeded beach access to Siesta Key Beach, ranked #1 in US. Just one mile from Siesta Village.The unit includes certain necessities such as: hair dryer, Internet, iron & board, linens, telephone, towels, coffee maker, dishes & utensils, microwave, oven, refrigerator, stove, and daily cleaning (extra fee). Non-smoking unit.